This is the right place to debate and ask questions about uniforms. You can also ask questions or seek information on the "Best Uniform" thread, but, if an issue related to uniforms arises in any other thread, here's the right place to continue the debate. This thread was designed and created to stop the hijacking of other threads. Well to start the ball rolling. Would the garrison of Hougoumont have kept their backpacks on during battle, for that matter would most troops have kept their packs with them, or where they ordered piled to the rear. I did read somewhere a while back (i think an Osprey publication) that at Austerlitz, French troops came across after the battle Russian backpacks neatly lined up, to which the hungry French fell upon to search for food, and in their disgust only found black bread, which they ate. Last edited by Post Captain; 31 Oct 11, 11:26. Depends on the army. The French were trained to fight with them on. If you lose your pack, you lose your personal kit. I don't know for sure but I think the British more often than not left their backpacks behind for a battle. I'm sure there are plenty of exceptions. However, as I said I don't really know. Since no one was there to watch the events unfold, we must rely on the best research available. I'm wondering if the austrian grenadiers had silver (color) plates on their plates? I never saw such plates like this, so help me please. 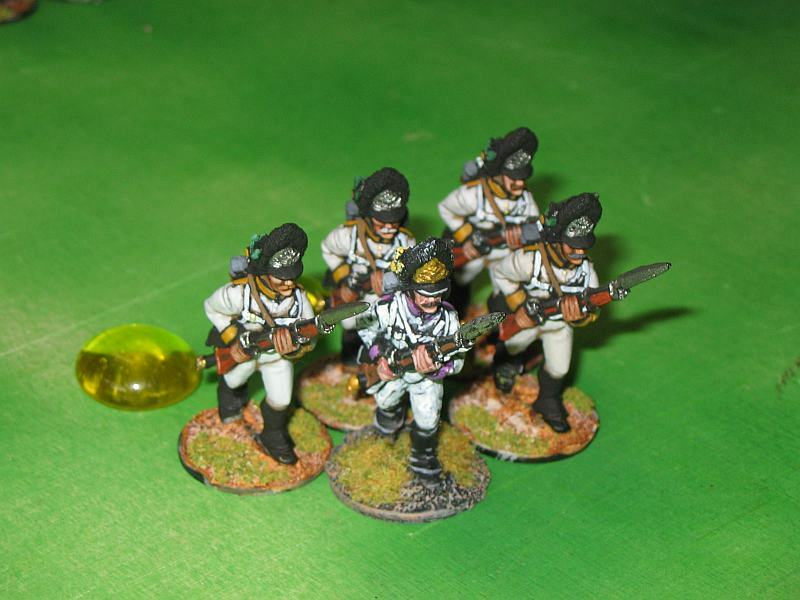 I never saw silver plates on the helmets of the austrian grenadiers. for example, the 27th french chasseurs wore a hussar style uniform since the duke of Arenberg, who raised it, wanted his men to wear that kind of uniform (and he paid for that, and Napoleon never asked him to return to the official tenue of the chasseurs). I have seen such headwear before. It's a grenadiers fur cap dressed into a cover. Men protected them like this during service, I read. I do agree with you, just wanted to point that some people (generally officers) always tried to have a different uniform than the one described in the regulations. Never intended to help the myth keeping growing. But as mentioned in my previous message, exception exists (as I am better informed in french uniformology than in austrian, I would say exception was a rule among senior officers as far as clothing is concerned. Now I have a question for anyone who knows. Did the Portuguese milita or ordonanca have any Cavalry around 1808/1809? And if, do pictures exist. I know that the ordonanca was considered to be enthusiastic but poorly equipped, trained and uniformed, but did better trained and equipped units exist? How were they organised? I understand that there was a distinction between militia and ordonanca and that the militia was considered to be better. Were they financed by weathy private individuals since a proper government didn't exist at the time? It will be easier for you to put the pages in Portuguese and you use the translator that best suits you, which I translated from Portuguese into English. Some Chasseur a Cheval regiments did dress in hussar-style uniforms, with the officers and NCOs wearing pelisse's in full dress also. The 5th Chasseurs were famous for it and they wore buff colored belts to boot. The 27th Chasseurs weren't alone in that respect. Until the advent of the 1812 Uniform Regulations, which probably were not put into effect until 1813, French regimental commanders usually did what they wanted to regarding uniform peculiarities, especially with the heads of column. Some company commanders did the same within their companies. Just to avoid another myth getting going, all plates were made of brass throughout the period. The bearskin itself was often made of blacksheepskin, but never washed, because in bad weather, it was covered by a black-laquered linen cover with a brass grenade badge and FII/FI painted on it. Thank you all. Now there's no doubt. 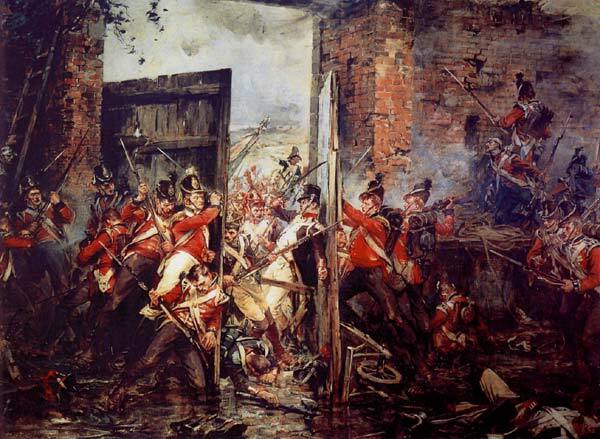 "Dolman" until 1804 although many regiments still carry on the campaign of 1807. 1808-1810, Sourtout a revers en Grande tenue and "habit a la Kinsky" (All closed and without lapels) for campaing.